Hunter syndrome is a rare multiorgan disease associated to high perioperative morbidity and mortality and high incidence of difficult airway, but little has been published about the success of neuraxial blockade. We describe the case of a patient submitted to surgery under successful subarachnoid block. A 17 years old male with Hunter syndrome, admitted for inferior limb surgery, has central nervous system involvement with narrowing of the cervical spinal canal, and a known difficult airway. We performed a spinal anaesthesia, successful at first attempt. 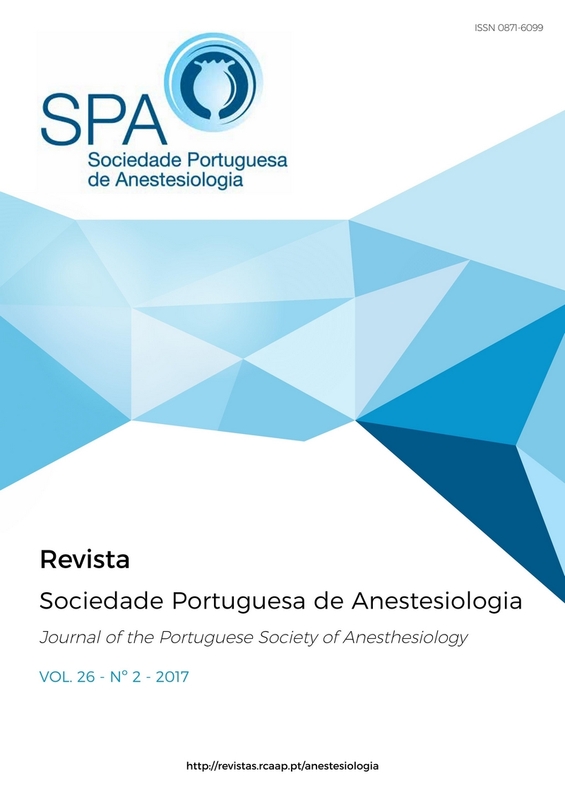 Literature about anaesthetic management of Hunter syndrome patients focuses mainly on difficult airway, also with descriptions of failed spinal blocks. There is only one recently published report of successful spinal block. Our patient was operated 3 times under spinal anaesthesia despite central nervous system involvement, suggesting that, contrary to the previously documented cases, it is a valid alternative for Hunter syndrome patients.